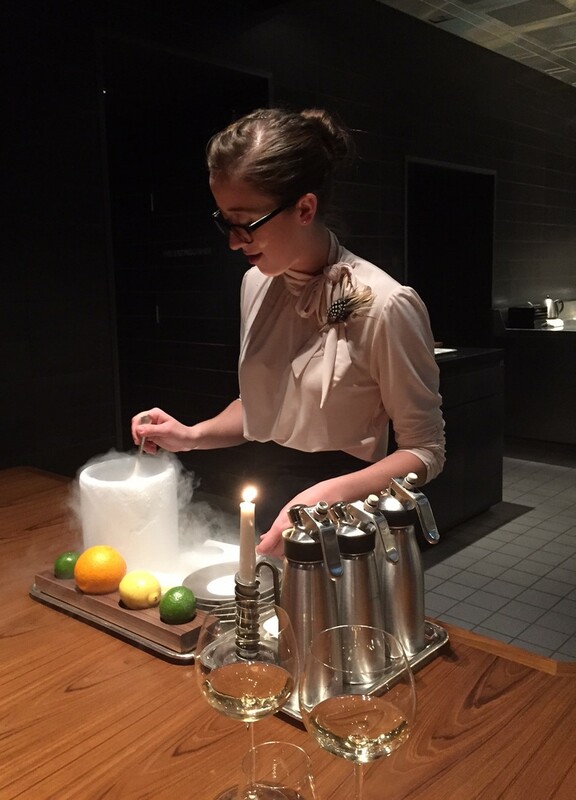 The Liquid Nitrogen Gin & Tonic is just one of many innovative concoctions at The Fat Duck. 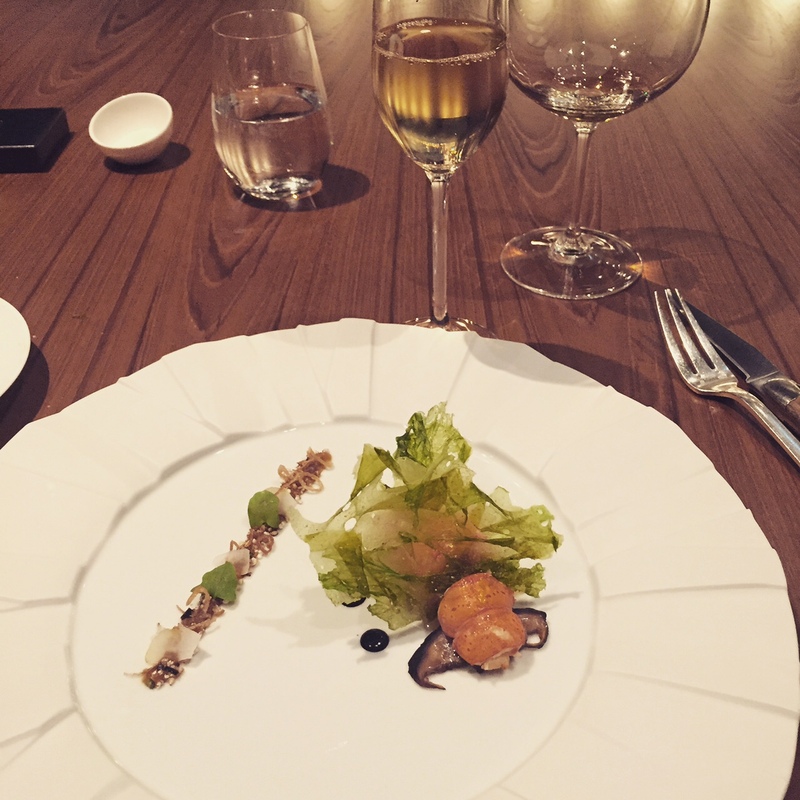 Last Friday night I had the best dining experience of my life. Yep, I went to The Fat Duck. It was epic. It was long, very long, funny, delicious, creative, whimsical and a little bit mind-blowing. And yes, it was very, very expensive. It is very hard to reconcile the cost, it’s almost impossible to suggest it represented value but it was a proper once-in-a-lifetime experience, it was even better than the most over hyped expectations and it took the dinner experience, the restaurant experience to a place I’m not sure I ever thought it could go. The whole thing was bloody marvellous but the adjective I kept returning to when I came around from my hungover splendour the next day was “confidence”. There was something just awesome about the confidence of the place, of the people, of the intent and the delivery. It was not smugness or arrogance, it was a sense that “we know what we are doing” come along with us. A little bit of swagger for sure but a wonderful, secure sense of “we invented this whole crazy dining thing, there are many, many imitators, now just watch us do our stuff”. And they blew the imposters away. I have a well-known aversion to smug, self-serving sommeliers – insecure, bearded men who want to confuse and patronise you. The Fat Duck team, lead by a Turk and a Frenchman, were the absolute opposite. At one stage Remi, the French one, even talked me DOWN in price from a Burgundy to a German Spätburgunder and it was INSPIRED. The wine list had a lovely mix of new and old, international and Australian, post-modern and classic. And while it was expensive, I didn’t get the feeling they were taking a lend of me. Highlight of the evening: The West Australian marron. The food, well it was dazzling. And I don’t think I’ve ever been bedazzled by food and it’s certainly not a descriptor I’ve ever used. I mean the concept of dry ice floating across the entire table with mounds of moss sounds completely ridiculous yet I was as transfixed as a kid in a candy store. The snail porridge is famous and, goddam it, completely bloody delicious. The local touches were superb. A West Australian marron dish was probably the food highlight of the night – superb Australian produce treated brilliantly. 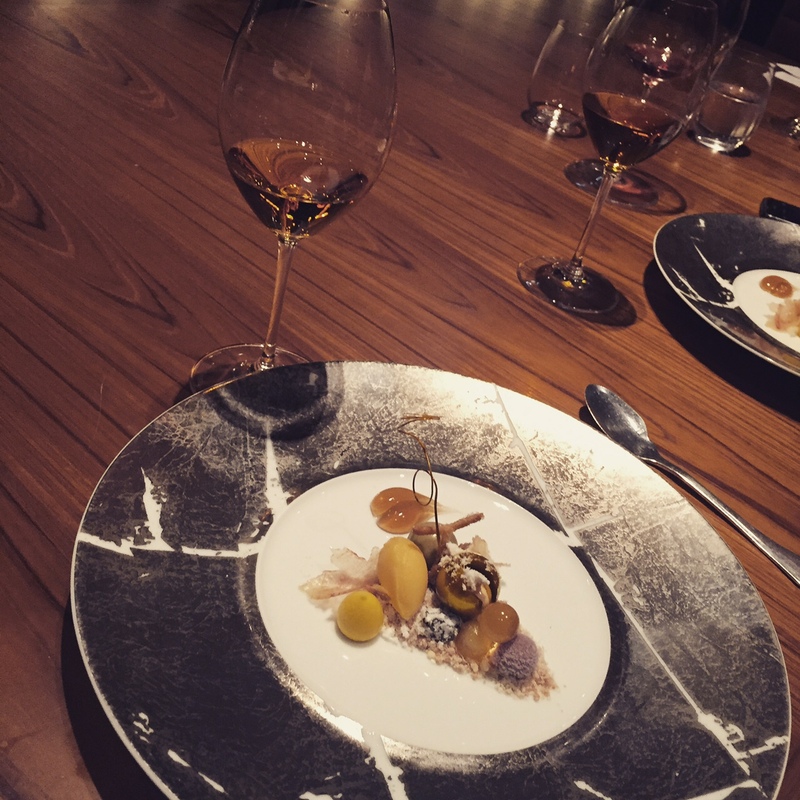 The botrytis cinerea dessert, a play on the classic sweet wines, is quite simply the best dessert I’ve had in my life – and I’m bloody lucky that I’ve now tasted it twice. And that’s what this was, a once (or maybe twice) in a lifetime experience – it simply made a whole lot of other restaurant experiences just feel like being fed by strangers. This was theatre and execution at an entirely different level. And the marketing people talk about “customer engagement” WELL THIS MADE YOU FEEL LIKE YOU WERE PART OF SOMETHING SO SPECIAL, SO AWESOME THAT REALLY you want to proselytise about it to anyone who will listen, or read. The brilliance of each diner getting a small piece of a giant puzzle (that then gets placed on a giant wall puzzle to be completed at the end of the six month stay) gives you a sense that you played your small part in the history – that you can say you were there, that you were involved in the movement. Best dessert of all time? The botrytis cinerea. I’m very lucky that over the next few months I’m visiting some of the great restaurants in the world in many different cities – I’m sure most will have stunning food and great service but I wonder if they will make me fall in love like the Fat Duck. Heston wasn’t there – he was apparently in London in the “lab”. But we didn’t miss him and nor did the restaurant. Bravo The Fat Duck and bravo Crown Melbourne. I feel enormously privileged to have sat in the very front row at the greatest food and drink show on earth. This entry was posted in Food by Stuart Gregor. Bookmark the permalink. Lucky duck Stuey and time and dosh well invested on an adventure. How long ago did you book and what great Aussie wines did you drink ? I’ll admit it, I’m not a huge Heston fan and snail porridge isn’t high up there on my gourmet wish-list, but I do love that he makes people look at eating out in different light. I hope he inspires more chefs to turn eating out into extraordinary, exciting dining adventures.